Roseland Avenue welcomes you with a beautiful drive through slow curves and an archway of trees into the very highly sought after neighborhood of Brookfield. 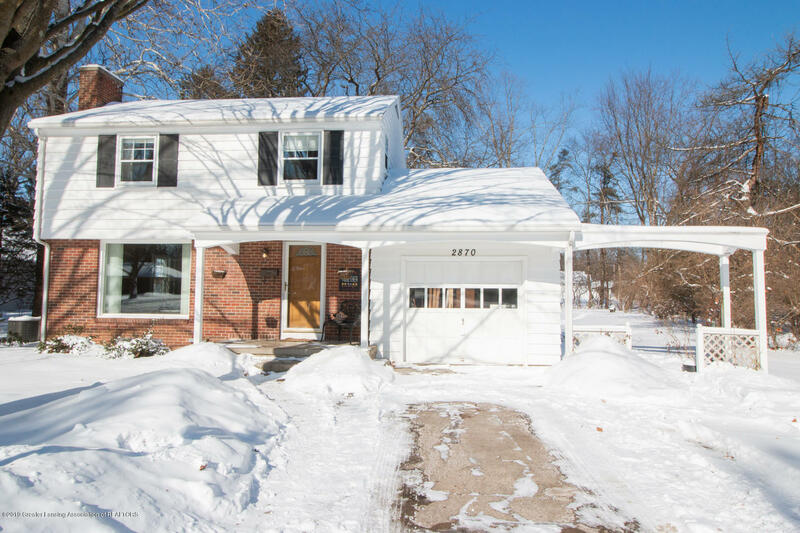 This desirable location is positioned in the sweet spot of East Lansing address, Okemos schools, and Meridian Township taxes. Darling front porch welcomes you into this fully updated & remodeled 3 bed, 1.5 bath home with 3 season room and partially finished basement. Living room features hardwood flooring, wood burning fireplace, and lots of natural light from large front window, flowing perfectly into formal dining area with refinished hardwood floors and updated light fixture. Enjoy the three season room with new slate tile flooring that overlooks the enormous backyard, full of perennials and trails.